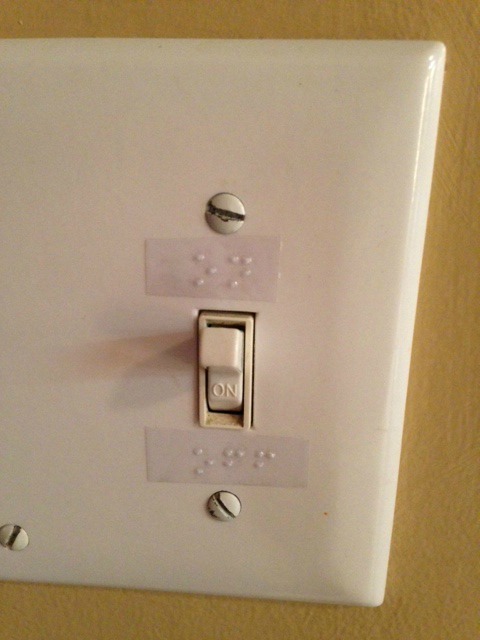 Suppose a blind person wanted to know whether a switch (such as a light switch) was on or off (also suppose the switch was vertical. Wouldn't it be natural to think that top (=1), would mean on, and bottom (=0), would mean off. You think about the scenarios (I might edit the question, later). 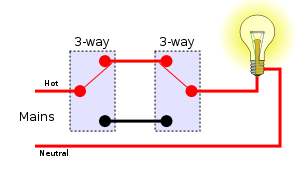 In both cases, for the switches to "be standard", both switches would need to communicate, via a circuit, so that when one would be propped on, the other one would switch on as well (just the same if one is switched off: and the other switch automatically switches off as well). Any other ideas, or views? If you really need to inform visually impaired people about light switches state you can not rely in position (as it has already been said). Do not connect switches directly to main electric line. They use lower voltage to command a relay. You need more cabling (because of relay's feedback) but they're small low voltage inexpensive cables. After this same solution of above applies. 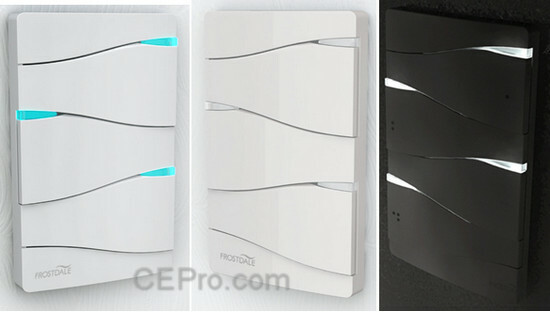 Use a product specific for home automation. 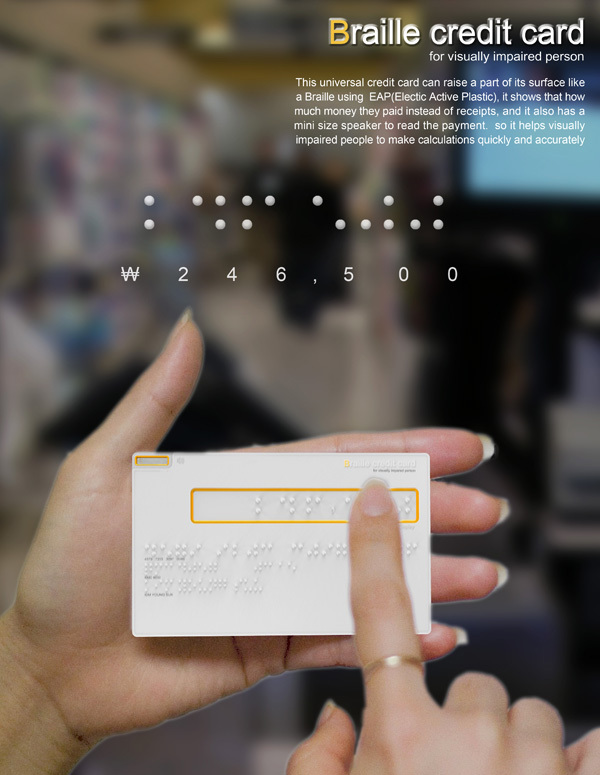 There are braille touch displays and they can be used by any kind of user. One final note: all above solution for multi-way switches are somehow expansive. I'm sure there is a niche market but if DIY isn't an option you may spend a lot. However...don't forget that visually impaired people still have other senses! 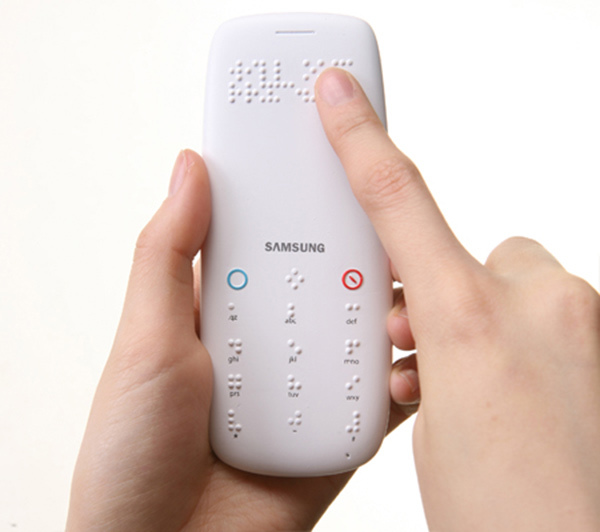 For example a simple push button (with braille on its ring for identification) may trigger audio feedback by proximity. This is pretty cheap (a quick search gave prices ~30/40$ per peace) and it works well. There is no international standard for lightswitches. In some countries (e.g. America), up always means on. 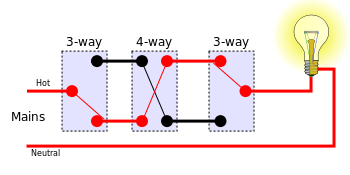 In others (e.g. Great Britain) down means on. And in any country, having multiple switches connected to the same light means that you can't tell the state of the light from the state of a given switch. Update: there is a lot more detail in this answer from the question mentioned above. Not the answer you're looking for? Browse other questions tagged accessibility toggle light or ask your own question. How to provide non-visual feedback on a touch screen?